After 20 Premier League managers tried out formations with a three-man defence last season, Adrian Clarke looks at how they worked, starting with Tottenham Hotspur. Mauricio Pochettino diverted away from a traditional back four only sparingly, but did so with great success en route to the runners-up spot. Spurs won 10 out of 12 unbeaten matches when starting with a three-man defence, scoring more on average than with a 4-2-3-1. Eric Dier is the player who facilitated those changes so productively. Equally comfortable as a right-sided centre-back or as a defensive midfielder, the 23-year-old’s versatility allowed his manager to adjust frequently the structure of his XI without unsettling the overall balance. When Dier dropped into a back three with Mousa Dembele and Victor Wanyama lined up ahead of him in midfield, Spurs boasted an exceptionally strong block of five, powerful, defensive-minded players. This gave their wide men and attacking midfielders additional confidence to express themselves, which reflected in their excellent goal count with three at the back. If the system wasn’t working and the manager needed to make an in-match switch to 4-2-3-1 (as at Burnley and Crystal Palace) Pochettino simply pushed Dier into midfield without creating disruption elsewhere on the field. 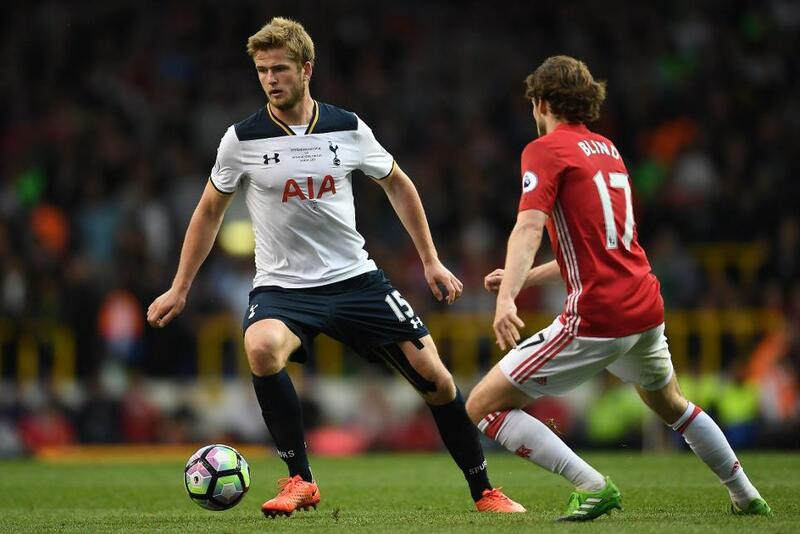 Tactically speaking, Dier is a crucial figure who gives his manager flexibility. Pochettino didn’t just toy with the fashionable 3-4-2-1 either. He also experimented with the little-used 3-4-3 diamond at home to Hull City (when Spurs had an impressive 27 shots on goal) as well as a 4-1-3-2 at Watford on New Year’s Day, a match they won 4-1. Wanyama was effectively the only central midfielder used in those two fixtures, so it was a bold offensive approach. Using three central defenders suited Spurs for a number of reasons, but it was the quality of their distribution that helped it function so well. With two wing-backs pushed on offering width, there was an onus on the three centre-backs to pass out from the back with confidence and accuracy, sometimes over long distances. And the men at the back responded superbly. Sending long diagonal passes to the flanks, or clipping balls into forward players Dier, Jan Vertonghen and Toby Alderweireld were statistically three of the best long-range passers in the Premier League. Without this string to their bow, Spurs’ displays wouldn’t have looked as fluent. While the stats suggest Spurs are better in a 3-4-2-1 there is one stumbling block. How does Pochettino fit Harry Kane, Christian Eriksen, Dele Alli and Son Heung-min into the same side? If that is a priority, Pochettino may explore less conventional variations of a back three next term. Alternatively, when one of his star quartet is injured or in need of a rest, 3-4-2-1 may become their default formation. Either way, during 2016/17 Spurs proved they can shine in a number of shapes.